Have you heard the news? 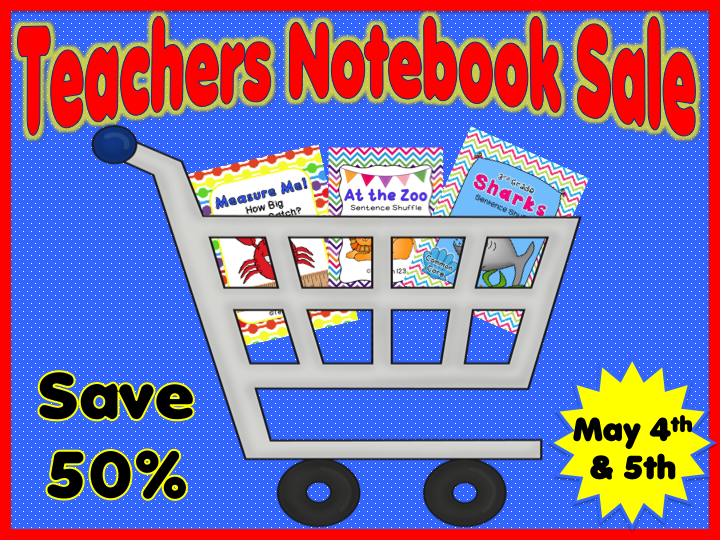 The Teachers Notebook site is having a week long sale to celebrate Teachers Appreciation Week! All week long you can save 10% on everything on the site. Each seller is offering additional savings, too. There will also be a daily giveaway for a $100 Oriental Trading gift certificate. For two days on May 4th and 5th, you can shop at my TN store and save an additional 40%. With the 10% Steve, the TN owner is giving, you will save 50% during these two days. Who doesn’t love a good bargain?!!! This is the perfect time to stock up on those big bundles that you’ve had your eye on for a while.